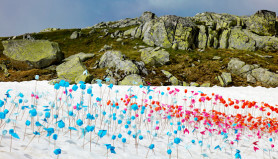 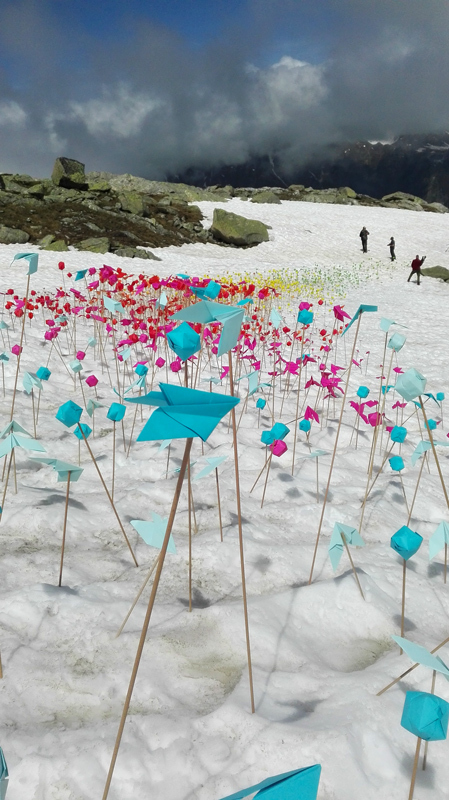 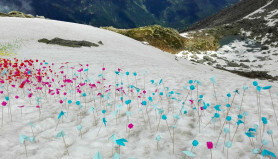 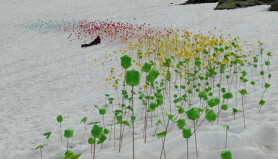 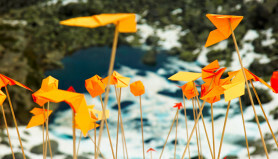 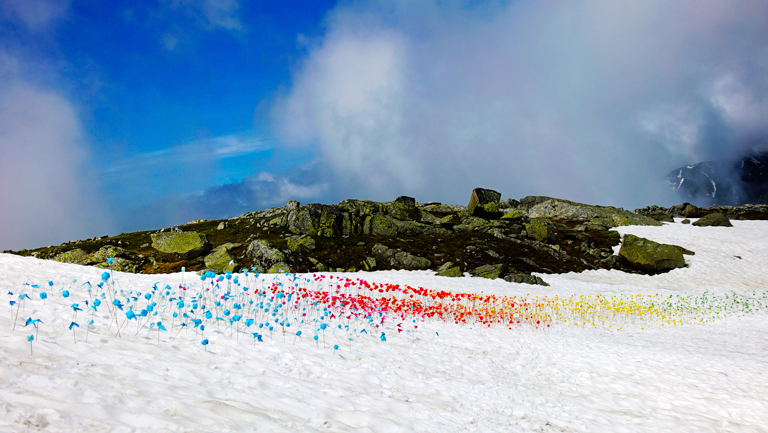 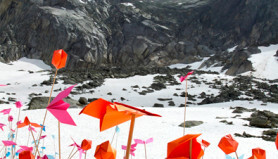 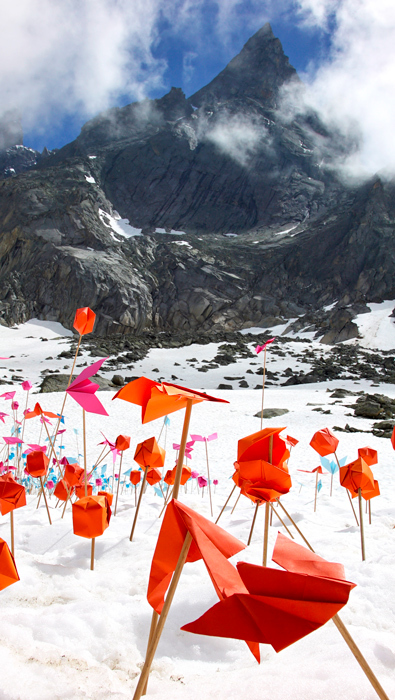 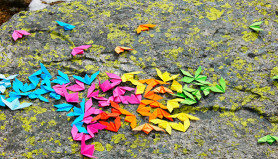 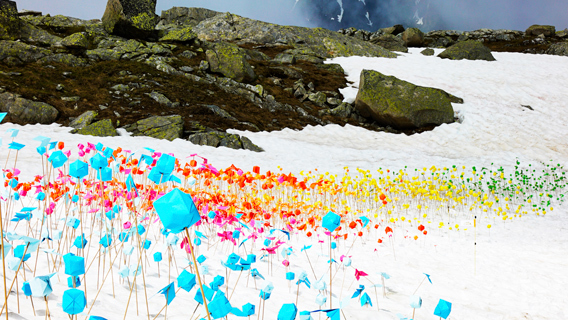 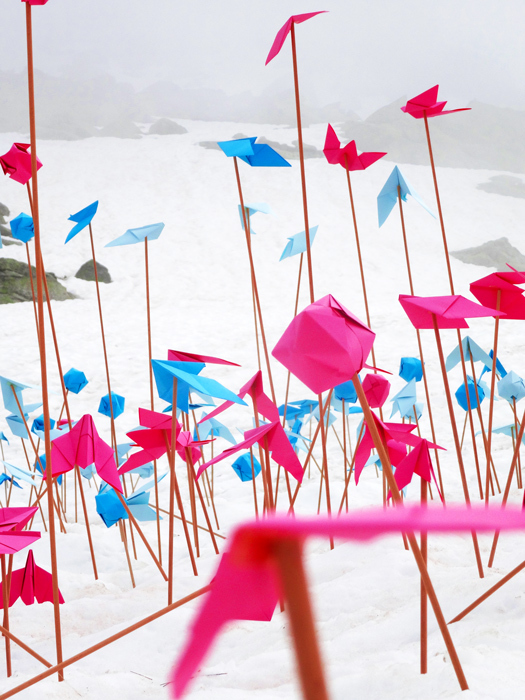 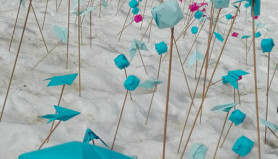 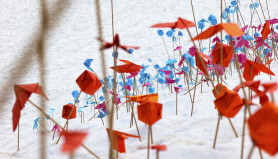 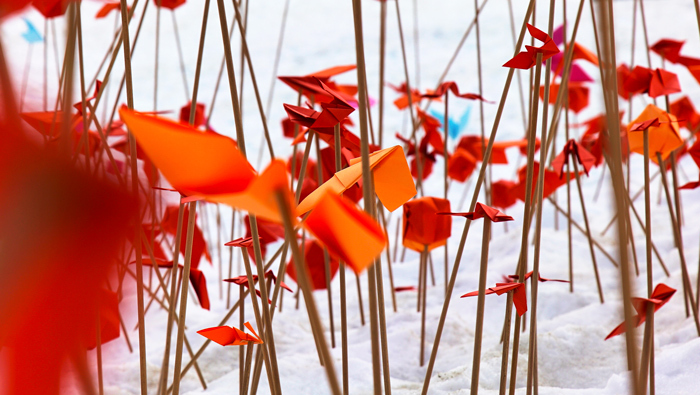 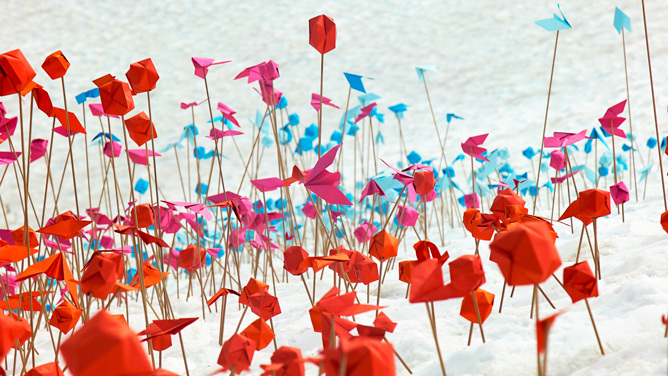 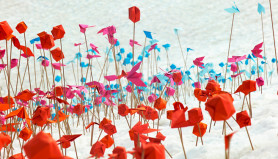 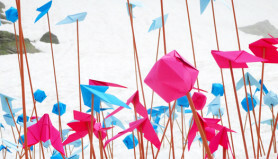 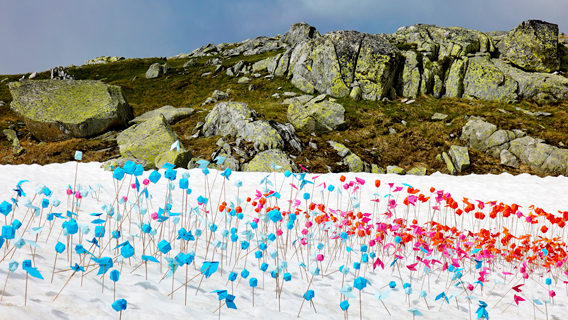 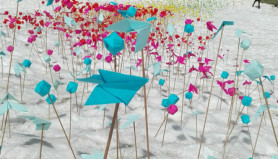 Project of origamis installation in high-mountain made with Bonneville prison. 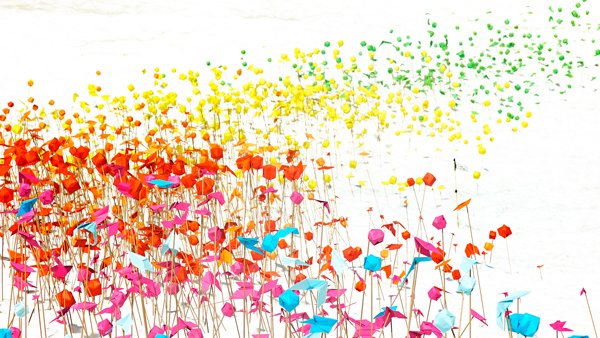 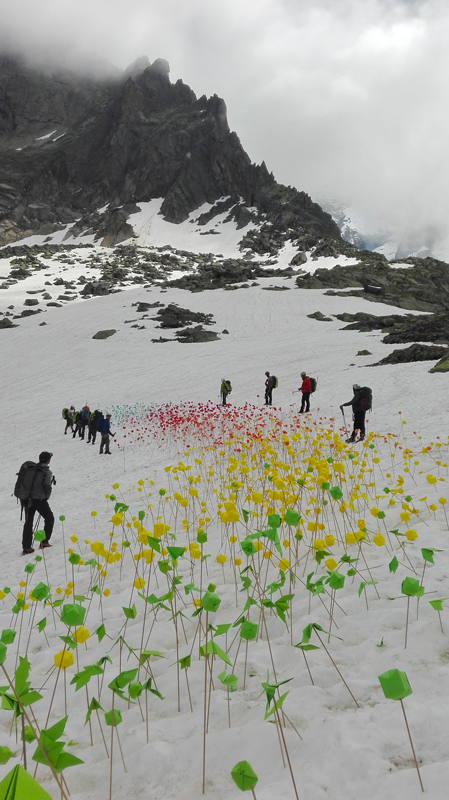 The artist was invited by the Label Vie D’Ange (an association that aims at cultural development and the creation of social ties, and also offers short film workshops as a tool for social and professional integration). 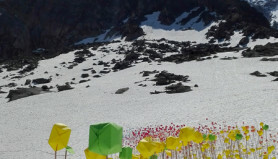 Mademoiselle Maurice met and exchanged dozens of detainees several times at the prison before setting up the installation of the work. 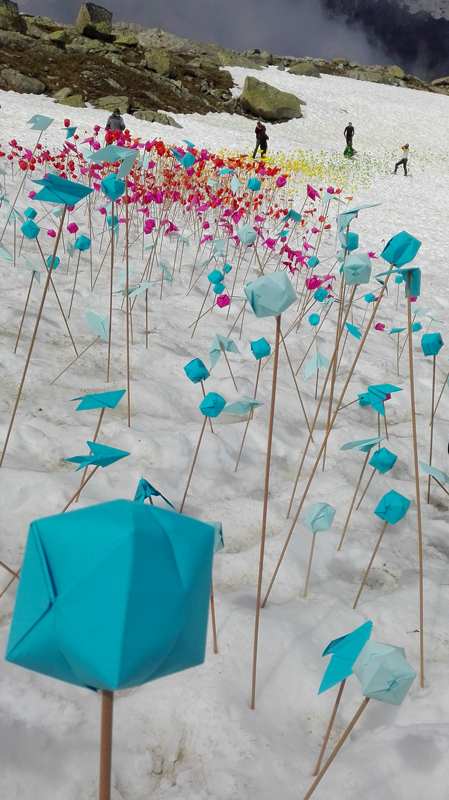 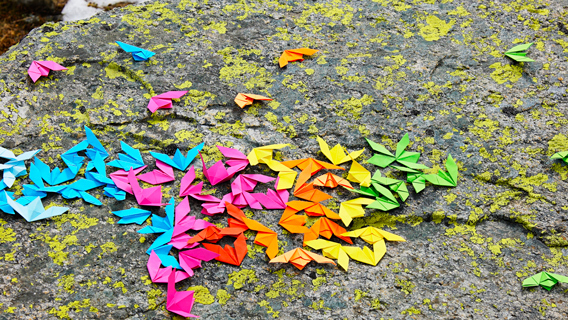 The inmates learned how to make origamis with the artist who wants to thank them for these thousands of folding done in cells. 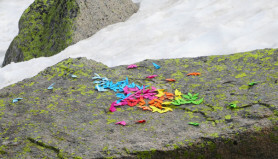 The team (artist + inmates + supervisors) then practiced trekking with ice ax and crampon. 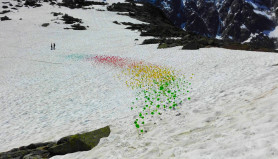 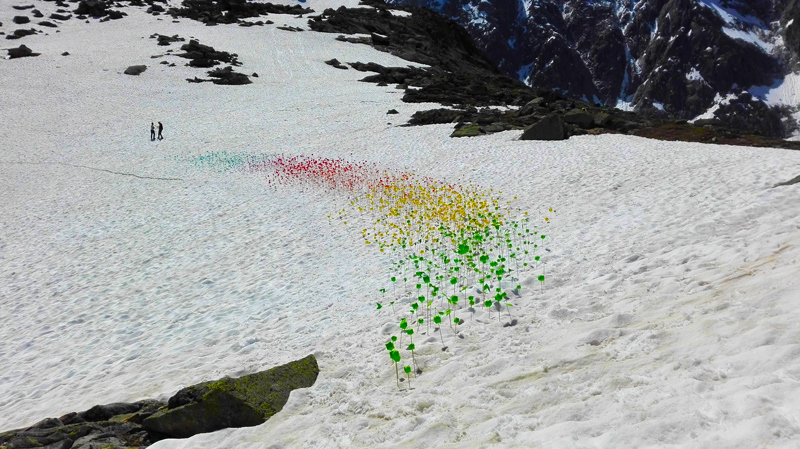 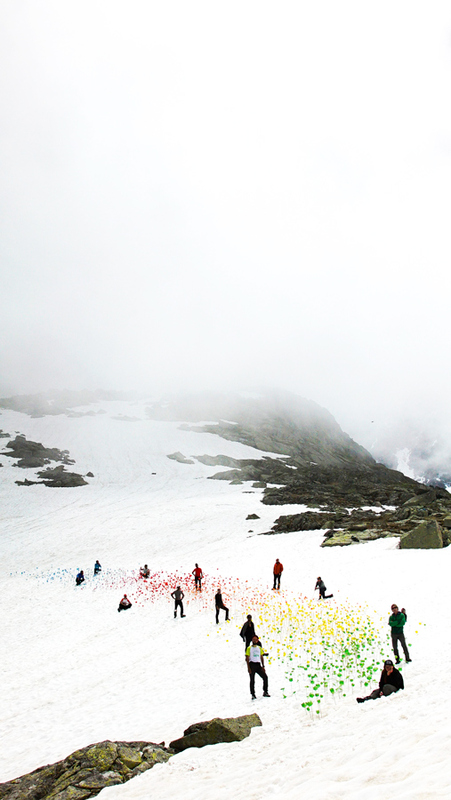 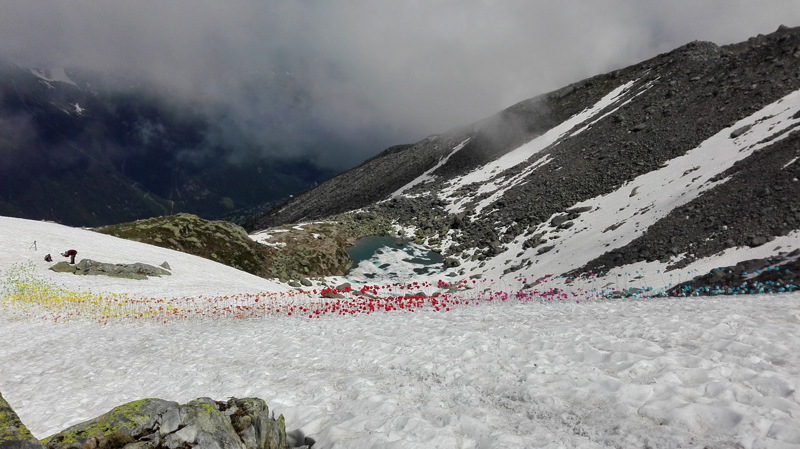 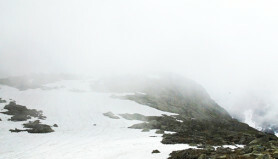 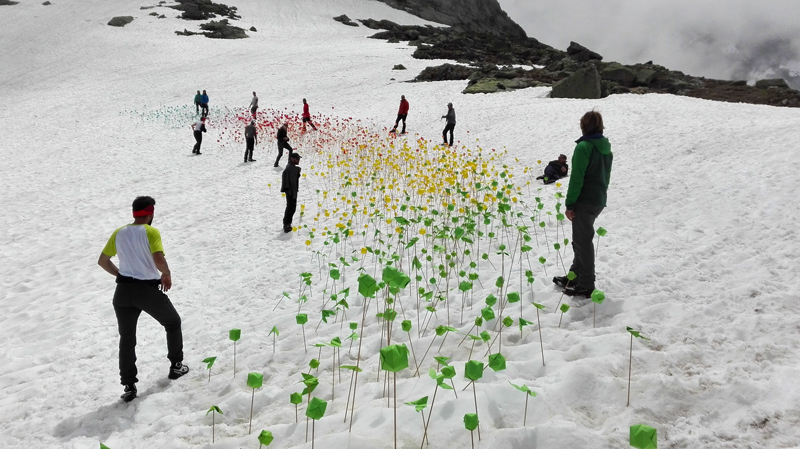 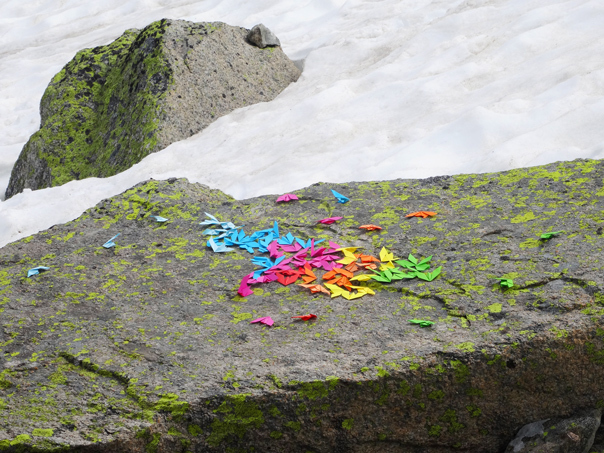 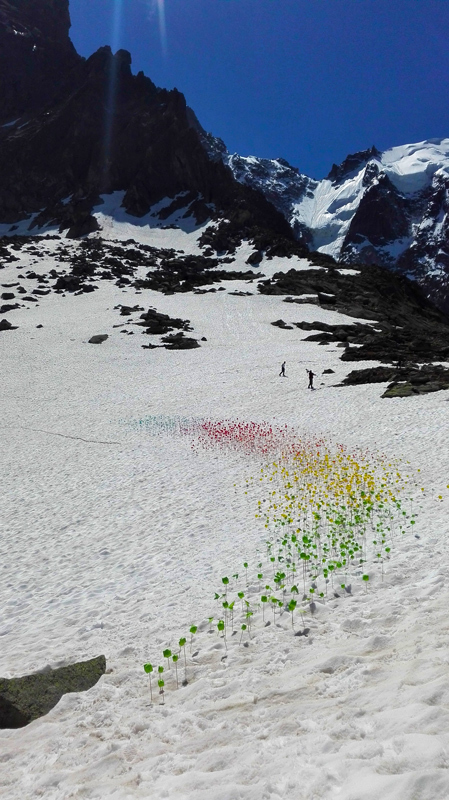 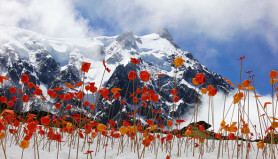 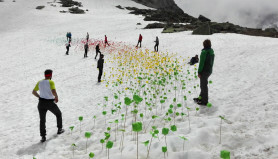 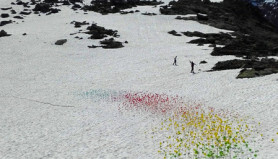 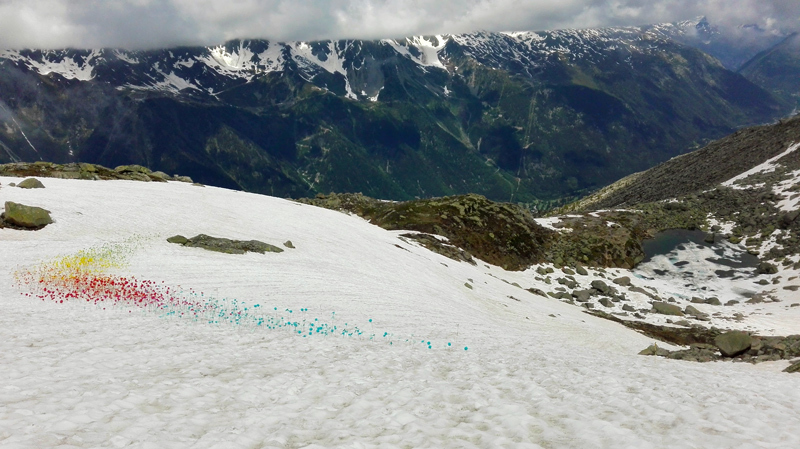 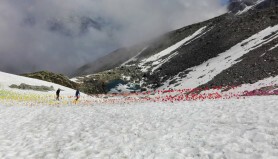 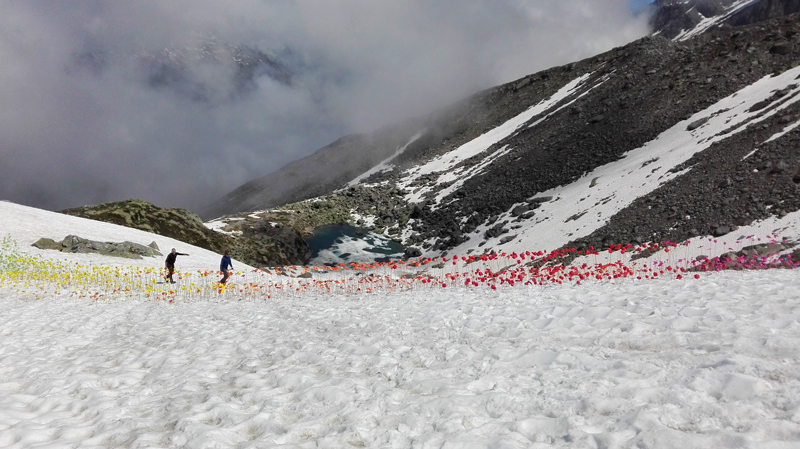 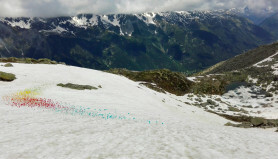 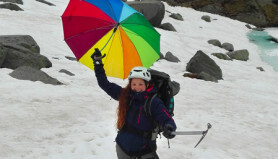 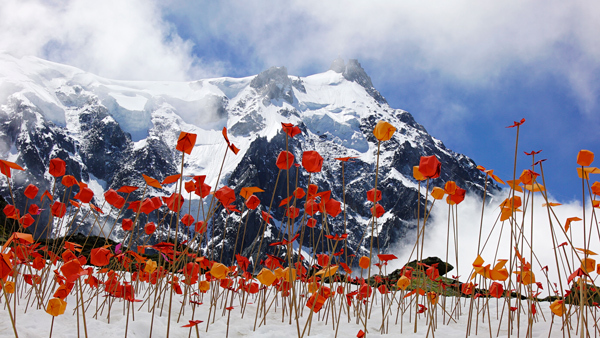 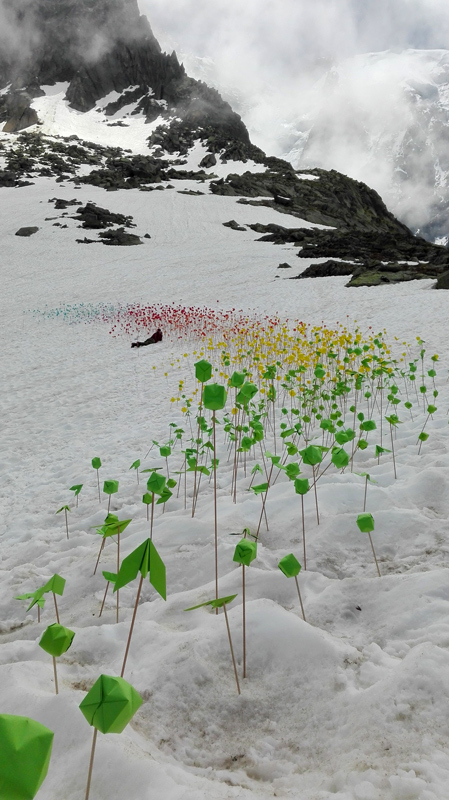 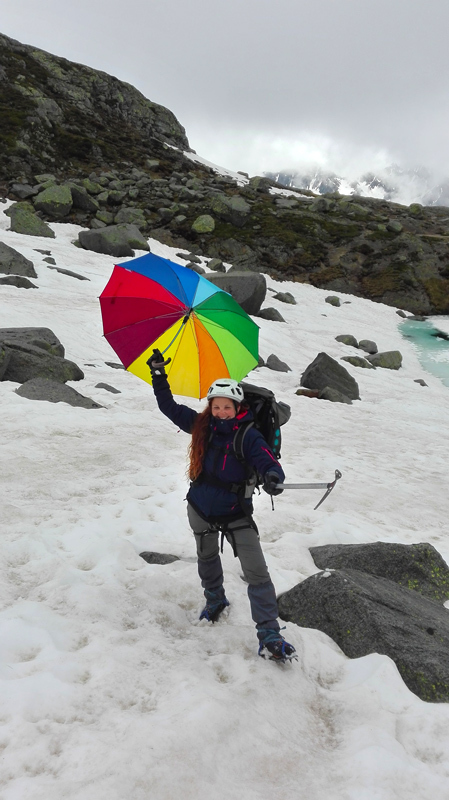 Six inmates climbed at the base of Mont Blanc to complete the installation with the artist. 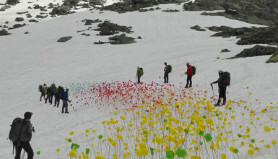 It is a project that has been able to mix the human, the sportsm, the art, the nature and the social. 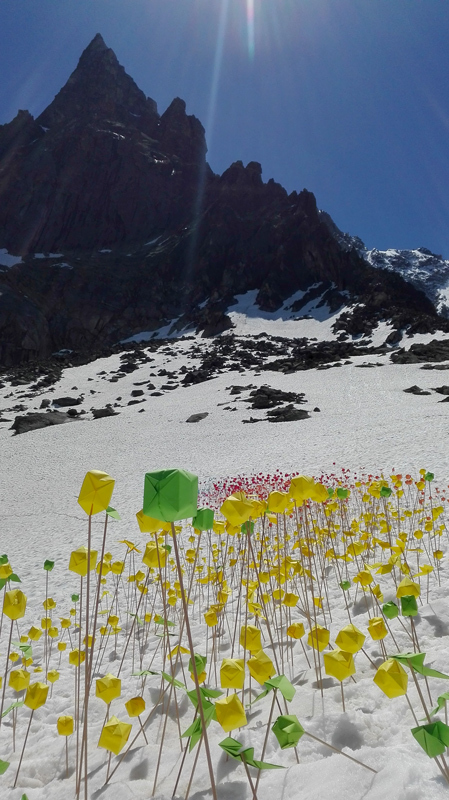 The artist would like to warmly thank Florent labre (Vie d’Ange Label), Lionel (sports teacher at the remand center), Agathe (penitentiary service for integration and probation), Jérôme, Sébastien and Martin (the guides high mountain) and a big thank you to the inmates.